The world in which we live today makes it easy for us to connect and interact with one another. With social media, text, and email, it is easier than ever to communicate and build relationships. While this emphasis on connecting with others is fantastic, we tend to forget to connect with ourselves. 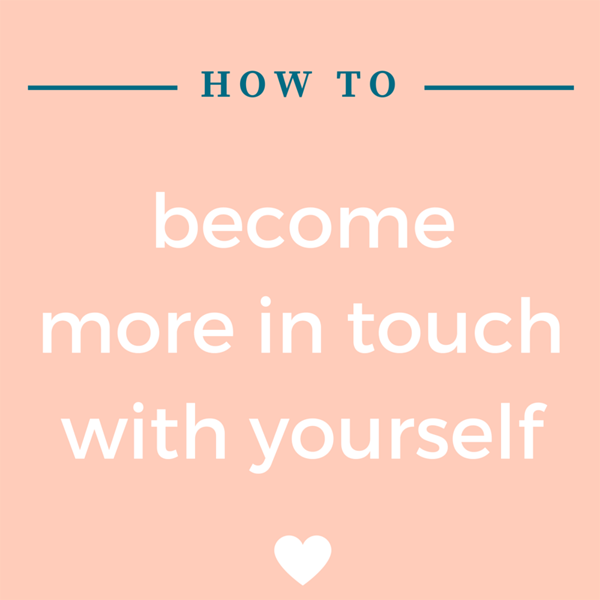 We need to establish a relationship with ourselves as much as we do with the people around us. Being comfortable and content in our own skins can have a positive effect on our lives, so here is a short guide to help you on your journey to becoming more in touch with yourself. Happiness is a choice and responsibility that lies in our own hands. Many of us have been brought up to believe that our happiness depends on someone else, but that is not the case at all. Instead of being down when things do not go your way, be proactive and take charge of the situation. Fill your life with hobbies, people, and activities that give you joy. Get rid of the negative influences. See the silver lining in everything, and find a positive way of looking at life. You may not be able to control or understand the bad things that happen, and it is fine to feel sad from time to time, but choosing happiness can make bad situations less debilitating and your life infinitely better. Take it from someone whose life took a huge turn for the better once she chose happiness: happiness is a choice that only you can make for yourself. 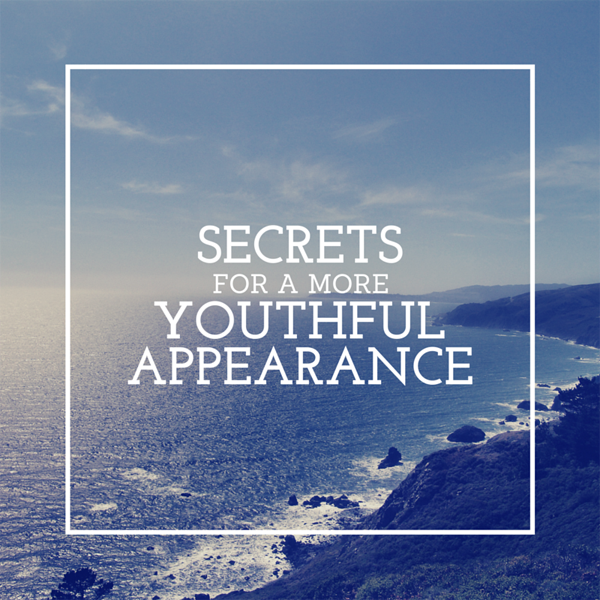 There are things that we want in life such as better skin, a promotion, or a holiday. Be honest with yourself, and write down the things that you want, no matter how absurd it may sound. It could be a goal, an item, or a change that you want to make to your life. This honesty with yourself will give you the focus you need to strive towards attaining that goal, item, or change. Knowing what you want can also help you create a plan of action. However, try not to overwhelm yourself by cramming too many things on your list at once. Prioritize, then tackle one item at a time. If you find it difficult to determine what exactly it is that you want in life, consider a chat with a counselor or a free tarot reading. It is inevitable that we will all make mistakes. We are only human, after all. The important thing is to learn from those mistakes. Being hard on yourself for slipping up is just a waste of energy that will not improve your situation or solve anything. It will only make you feel bad about yourself and put you off of trying again in the future. Remember: there is always more than one way to go about doing something, and you are entitled to changing your mind regarding your course of action. If you try something that does not work out, accept it and move on to the next alternative. When all is said and done, at least you know that you gave it your all. Also, never compare yourself to others. We are all different in many ways and should all celebrate our own uniqueness. The thing that you dislike most about yourself could very well be the thing that someone else likes most about you, so instead of focusing on the negatives, look for what you do like and enhance them. This guide will hopefully help you to create a healthy relationship with yourself. With Valentine's Day coming up, instead of worrying about how you can please someone else or make someone else happy, you should choose happiness and make you your top priority. It's time for a giveaway! 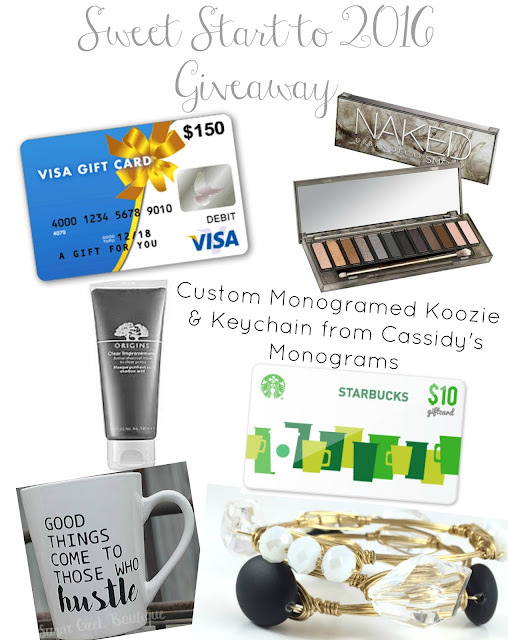 What better way to get a sweet start to 2016 than to win about $300 worth of gifts! Winning this incredible prize pack is easy: just enter using the Rafflecopter below! Which one of these gifts are you most excited about? I should start by saying that I am not an ophthalmologist or an expert in this field whatsoever, but I have been wearing contact lenses for more than a decade, and these are some of the tips I've gotten from ophthalmologists, optometrists, opticians, etc. over the years. I've even learned from some of these mistakes myself, so I thought I'd compile a list here for anyone who wants to learn the don't's of wearing contacts lenses. When you're awake, your eyes get oxygen from the air. When you're asleep, they get lubrication from tears. These are necessary for a healthy cornea. When you sleep with your contacts in, they prevent your eyes from getting the necessary lubrication because your contacts act like a barrier. Do this too often, and there's a significantly higher risk of corneal infection! Your contacts shouldn't be exposed to tap water (or any water that isn't your contacts solution) because bacteria could bind to them and increase your chances of infection. If you're like me and are pretty much blind without your contacts in, this isn't an issue, but you should avoid putting on your makeup before your contacts because as you're putting in your contacts, they could catch fallout from your makeup and, again, cause infections. On the flipside, you should remove your contacts before you remove your makeup. 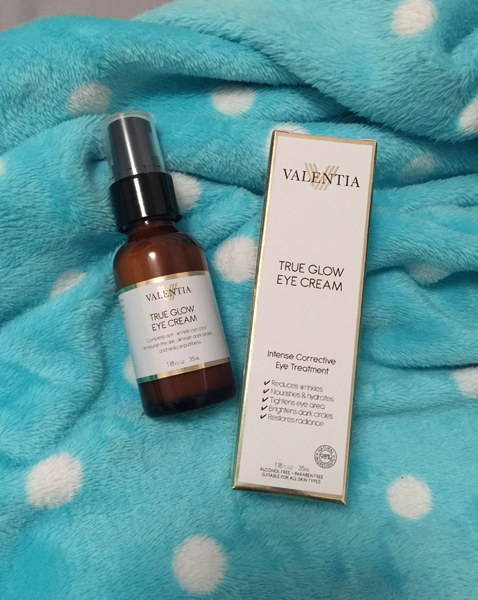 This is also to prevent makeup fallout getting on your contacts and to avoid irritation, especially when you're removing your eye makeup. Due to the incredible staying power of waterproof makeup, it is difficult to remove from your contacts if you were to accidentally get some waterproof mascara on them. This has actually happened to me in the past, so trust me when I say that it's a real pain to have to maneuver a wet Q-tip around your eye in an attempt to get the smudge off. With non-waterproof mascara, a few blinks get the smudges off just fine. This goes along the same lines as showering with your contacts in. You want to avoid any and all contact, as much as possible, between your contacts and water, so using water to clean (or store, like I once naively did) your contacts is defeating the purpose. Again, water and your contacts should stay far, far away from each other. If you really need to clean your case with water (which I still do because it feels dirty to me otherwise), let it dry completely before putting your contacts in it. Another bad side effect of having water (even droplets) in contact with your case is the possibility of bacteria growth. If you don't let your case completely dry before you close it, the dark, damp area on the inside of your case is an ideal breeding ground for bacteria, and we don't want those all up in our contacts later. Even if you do religiously keep your case away from water, keep in mind that there is still water particles in the air. Also, over time, the protective anti-bacterial layer on the inside of your case wears off. Ideally, you'd want to switch out your case every three months at least. It is very important to stick to the "expiration date" of your contacts, and I don't mean its shelf life. If you wear monthly contacts, throw them out after a month. If you wear daily contacts, throw them out at the end of the day. 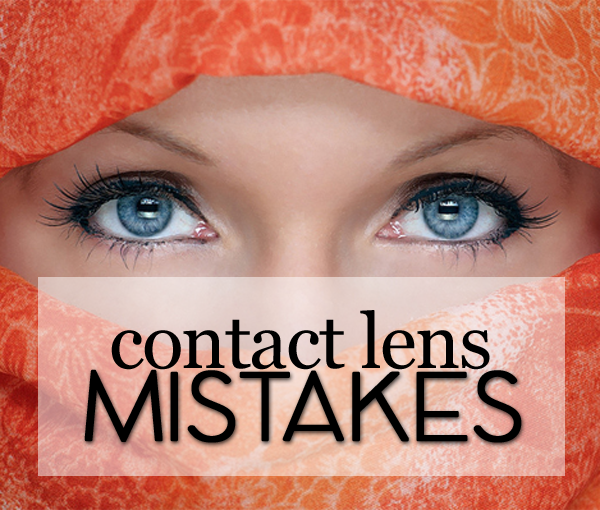 If you wear your contacts for longer than you're supposed to, they will deteriorate (dry out, harden up, etc.) and cause damage to your eyes. I was so super guilty of this in the past because I was cheap and didn't know how much harm it can do to my contacts and my eyes. The purpose of your solution is to remove the dirt and grime (and maybe bacteria) from your contacts at the end of the day, so when you soak your contacts in the solution, even if you rubbed it prior, all of the dirt and grime and bacteria settles into the solution in your case. Reusing that solution is basically soaking your contacts in the stuff you want to wash off in the first place. This is a new one that I recently learned. I don't have anything against generic and store brands because they're basically the same thing in other brands. What I didn't know was that although generic brand solution and big brand solution have the same solution, big brands have quality checks that their products have to pass as per federal regulations, and they usually tell you what's in their bottles, but with generic brands, you don't really know what, if any, their quality checks are. For all we know, it could be solution that failed the quality checks for the other brands. On the other hand, it isn't a good idea to change up your solution brand too often. 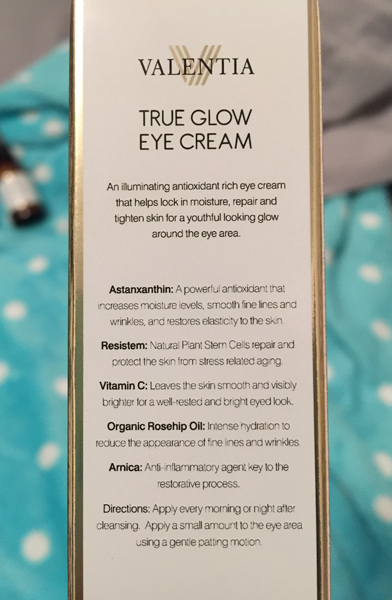 Although all solutions are fundamentally the same, different brands have slightly different chemical levels in their solutions, and your eyes naturally adapt to these levels. If you constantly change brands, your eyes keep having to work at adapting to your solution, which can cause irritation. I also learned about this very recently, and once I did, I felt like it should've been common sense to me. Your bathroom is filled with bacteria (obviously because of what goes on in there), so leaving your contacts stuff in the bathroom is giving bacteria the chance to settle on your case and your solution bottle, etc. Also, I don't know about you, but my bathroom sink is always wet, and I mean wet, when I'm done brushing my teeth and washing my face, so if I kept my contacts stuff on the sink, it will all get super wet. There are so many different types of solution on the market, and before this, I always just assumed that multipurpose solution is just all those different types mixed together, so that's all I really need. Apparently, I was wrong. Although multipurpose solution is pretty much saline solution and disinfecting solution mixed into one, it's not as effective as using them separately. Saline solution should be used to clean the lenses prior to storing. Gently rubbing it in saline solution removes the layer of dirt and grime and bacteria that's accumulated on it over the course of the day. Then, storing the lenses in disinfecting solution further disinfects it overnight before you put them back in in the morning. Basically, I think of multipurpose solutions like multipurpose mascara. They claim to volumize and lengthen, which they kind of do, but nothing beats layering volumizing mascara and lengthening mascara. I hope this has been helpful for you, whether you're new to wearing contacts or you've worn them for a while. What are some of your contact lens tips? 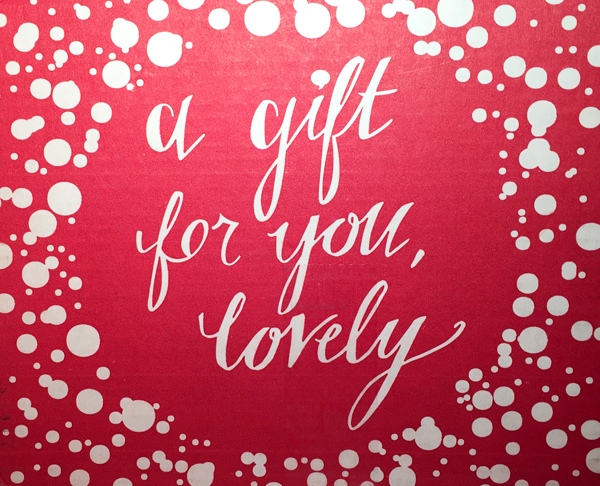 I haven't received a Voxbox from Influenster in quite some time, so needless to say, I was beyond excited to have been chosen for the Jingle Voxbox. 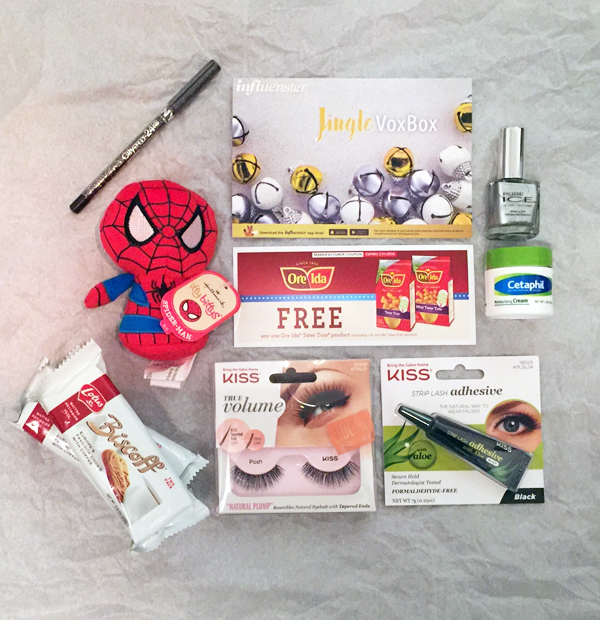 As the name suggests, this is a holiday themed Voxbox, which also suggests that I am very behind with this post, haha. 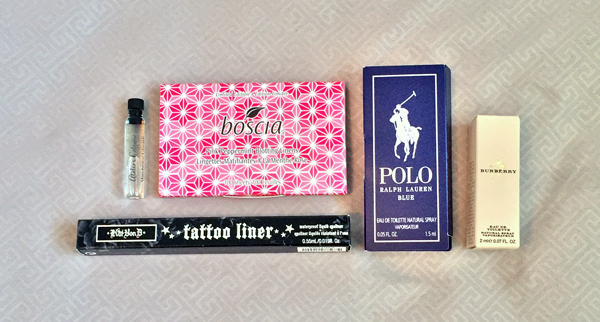 It's quite rare nowadays to receive a Voxbox with multiple items from multiple brands, so this was an exciting one to unbox. I made sure to stay away from social media posts regarding the Jingle Voxbox to avoid spoilers, haha. With the dawn of a new year, many of us have resolved to be more on top of our finances. Being a graduate teaching assistant with a measly stipend, smart budgeting is one of my top priorities. Cutting corners wherever possible is one of many ways to do just that. A new year also means a new chapter for people who decide to spend the rest of their lives together. I'm sure my Facebook feed will soon start filling up again with engagement pictures. For those of you who want to mesh both resolutions together, here are some wedding dresses under $100 from DressilyMe. DressilyMe is an online retailer based in Hong Kong, promising professional, personal, and convenient services in a multitude of apparel. They specialize in wedding dresses, but you can also find special occasion wear, lingerie, swim wear, and fashion jewelry on their website, all at affordable prices. They do ship from Hong Kong, though, so you would want to place your orders at least a month in advance if you live outside Asia. Most wedding dresses on the market, both online and offline, can fetch up to $300 for those on the cheaper end of the spectrum, so up to 75% off wedding dresses, totaling less than $100, is a real steal. On top of that, they currently have a Christmas offer going on for 5% off orders more than $89 automatically applied at checkout, so this is as good a time as any to get your hands on some mermaid wedding dresses like the ones pictured above or some cheap plus size wedding dresses! This post was sponsored by DressilyMe. This is a limited edition product that I immediately jumped on. I'm a huge fan of Boscia blotting linens; the Boscia Green Tea Blotting Linens is my holy grail blotting tissue. I've tried this already. It works just as well as the Green Tea one, and the peppermint scent is very strong and refreshing. I know I just bought the ELF Waterproof Eyeliner (as I mentioned in my Drugstore.com haul) because I wanted a felt tip eyeliner for cheap, but since I had a gift card, I couldn't resist skipping on this product from the brand created by the woman whose eyeliner game is always on fleek. Atelier Cologne is one of my favorite fragrance brands. I've tried quite a few of their scents from Birchbox, and I've loved them all! They're mostly rich, musky scents (my favorite). I'm not even sure if this is a women's fragrance; I just chose this sample because there were only three fragrance sample choices this month. I always get the fragrance samples (unless there's a sample of something I really want to try) because I find them to be the most worthwhile. Skin care and makeup samples aren't worth it because you can really only get a few uses out of them, but fragrance samples last much longer. I also need to test out scents before I splurge on full-sizes anyway. 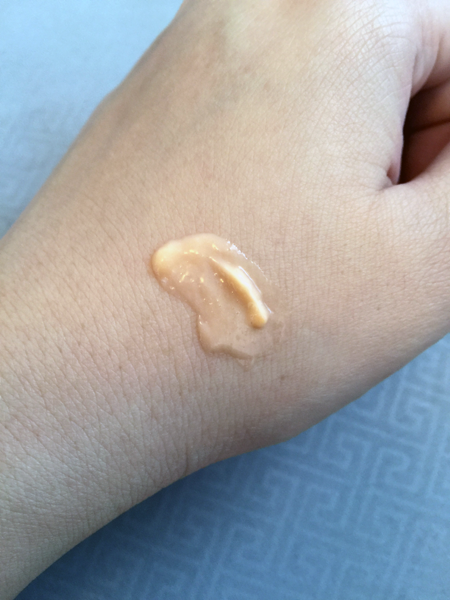 I've never owned or tried anything from the Burberry brand, so needless to say, I was ecstatic that this was an available sample. 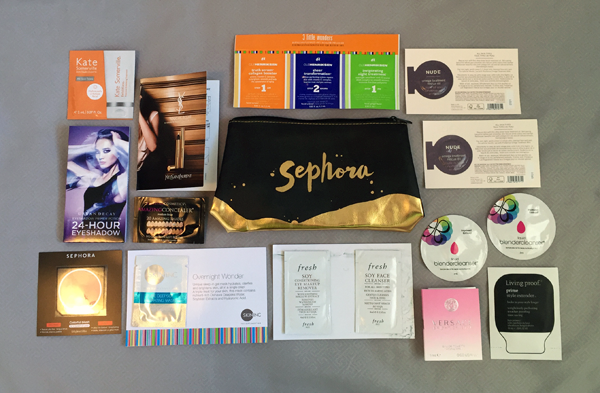 This clutch full of samples was one of the promotional code things that Sephora always has. This one specifically was one that let me choose among three holiday-themed clutches filled with 12 samples, but unfortunately, this was the only style left. I really like the clutch, but the samples were pretty meh. The only sample that really excited me was, of course, the Versace fragrance. I have a whole collection of Versace minis which I am absolutely in love with, so I'm glad this was one of the samples. Also, you can't see it from this picture, but the Urban Decay eye primer one came with four samples of four different eye primers, so I'm really excited about that too.